I enjoyed The Good Wife, particularly catching up with the Brennan family. The beginning is raw and emotional as the sisters and the rest of the family deals with the death of their mother after a long battle of cancer. Told from the youngest sister perspective, we are given insight into the other sisters and their relationships as well as the marital issues Sarah, the sister who is the focus of this novel, is dealing with as she struggles to cope with her husband’s past infidelity. The exploration of the trust issues that develop when the couple decides to work though their marriage after infidelity was handled well, and I’m certain anyone who has struggled with trust will be able to relate. Sarah’s thought process with all her doubts, fears and insecurities felt very realistic to me, and I found myself anxious along with her. There were a few things I wished this novel developed further, and this is probably due to the fact that I love an emotional read, the kind that tears my heart out and stomps on it and makes me sob on the subway. 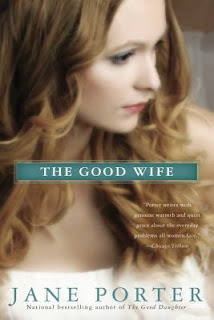 While I found some elements of The Good Woman emotional more often than not there were many areas that were glossed over that I wanted more development of. The first of these took place surrounding sister Meg who endures a tragedy in her life and almost as soon as the situation is covered, it is barely touched again after the initial impact. For a novel in a series about sisters this struck me as unusual. Also odd to me was when Kit’s story was completely glossed over. Sarah finds out something disturbing about Kit’s past – something BIG – and it is barely mentioned again. This floored me because it was, in my opinion, very important that they discuss this. Both of these neglected story lines left the sisters' relationship at a disconnect for me, where I wanted more closure, particularly as this is the final novel in the series. Also a little odd to me is that in a novel in a series about the Brennan sisters a significant chunk of this book is devoted to telling the perspective of a woman, Lauren, who was barely connected to them. Most concerning about this to me is that I enjoyed her story the most! I loved her character and the depth she gave. She felt the most real to me even though I did feel her story wrapped up a bit too quickly in a neat little bow. Overall, I enjoyed the Brennan sisters follow up, but wasn’t sure I completely agreed with the execution – maybe it was just me, wanting a deeper exploration of the serious issues that plague these women, not just a gloss-over.